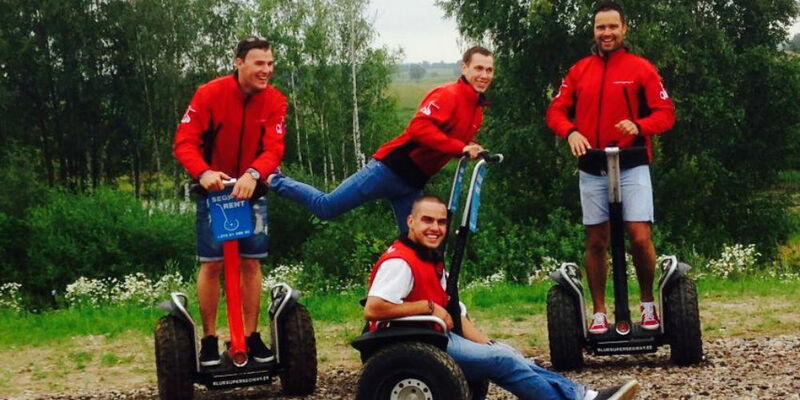 The Segway Riga City tour takes about 1.5 hours. First time users will get the instruction on how to operate a Segway. You will go thru Mud and Water, Forest and Rocky Terrain. You Got to be Fit- here you will go to your Limit’s and overcome them. Fun Factor 100% Total time min. 2 Hours min of 3-5 people. Please Contact us for Group arrangements of 5 or more.